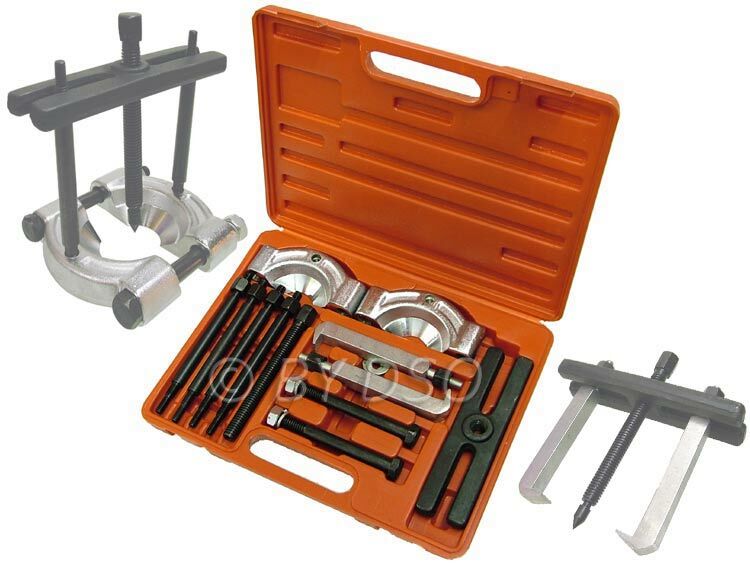 This comprehensive gear and bearing puller set is suitable for removing gears, steering wheels, pulleys, fittings from shafts and separating bearings. Manufactured from drop forged, heat treated steel, all attachments are hardened and tempered for maximum durability. Precision machined steel bolts give you a sturdy close fitting bearing puller every time. This set of gear bearing pullers weighs over 4Kgs to help show their quality. Neatly packed into a blow moulded case for ease of transportation. 2 x Piece bearing separator 9/32" - 3"
1/2?1x Brace bracket with 10 centre treads of 9/16"